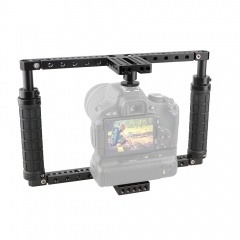 The cage kit is an ideal quick release rig for vari-angle screen DSLR, compatible with Canon 60D,70D,80D,5D MarkII,5D MarkIII,5DS,5DSR, 50D,40D,30D,6D,7D,7D650D,600D,550D,500D,450D,760D,750D,700D,100D,1200D; Nikon D3200,D3300,D5200,D5500,D7000,D7100,D7200,D300S,D610,DF; Sony a58,A99,a7,a7II; Panasonnic GH5/GH4/GH3/GH2,etc. 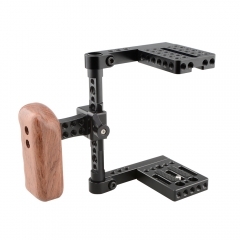 It comes with two kinds of side supports, one is 145mm, the other is 197mm. 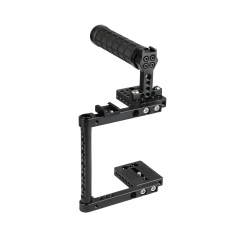 With the 145mm vertical support and QR shoe pinch, the clearance for mounting the camera is max. 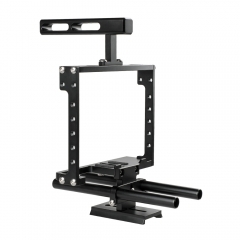 91.5mm; with the 197mm vertical support and QR shoe pinch, the clearance for mounting the camera is max. 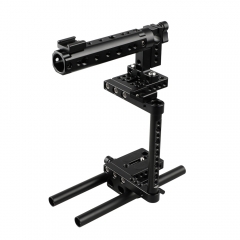 144mm. 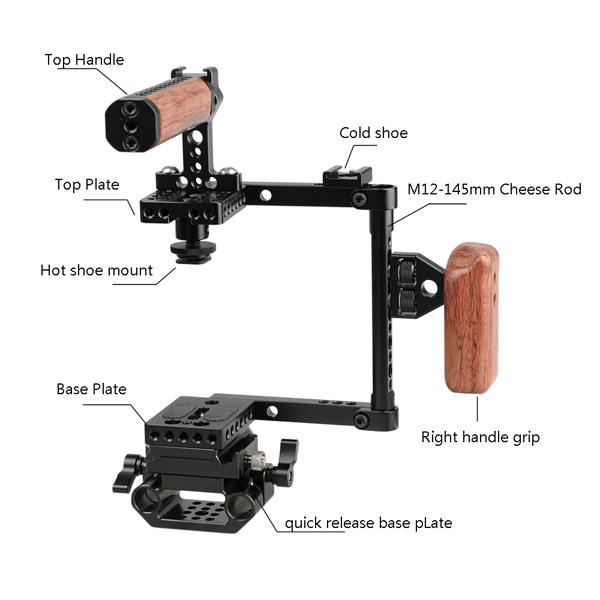 It also comes with a common shoe connecter for making more clearance. 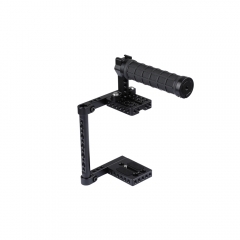 The anti-off clamp base features 1/4"-20 and 3/8"-16 threaded holes for attaching to the tripod. 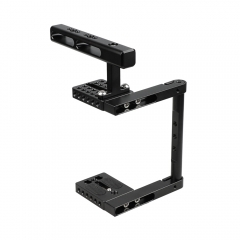 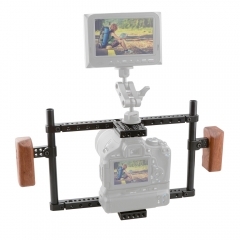 Besides, it is compatible with Manfrotto standard plates and accessible to the camera screw.